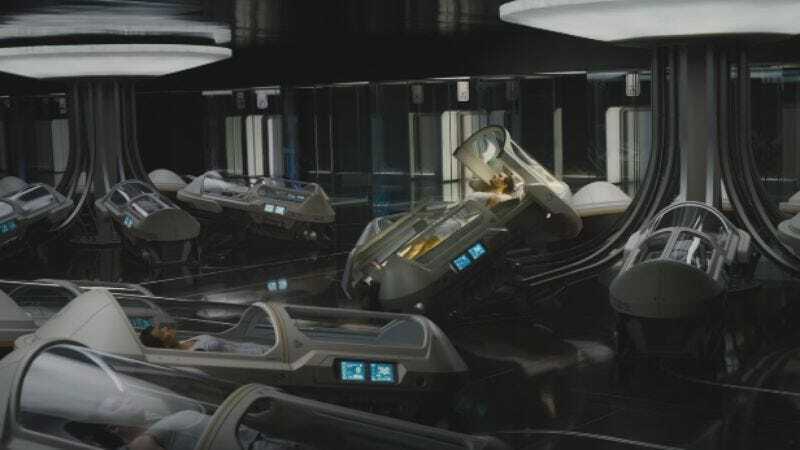 In the upcoming film Passengers, Chris Pratt and Jennifer Lawrence play future people who are accidentally woken up from the hibernation pods too soon and must figure out how to survive and fall in love in an enormous spaceship with no one else around but a robot that looks like Michael Sheen. Now, The A.V. Club is giving a few lucky readers a chance to see Passengers a few days early and for free—no malfunctioning hibernation pod required. The screening will be held on December 19 at Chicago’s AMC River East, and all you have to do to get a pair of tickets is enter your information at this link. Remember: Advance screenings are often intentionally overbooked, so be sure to arrive early if you want to secure a seat. Passengers will be released for everyone else on December 21, and you can see a trailer for it below.